Shopping with a Michigan Bulb catalog or mailer in hand? Enter your Offer Code below to have your catalog offer applied throughout our website! 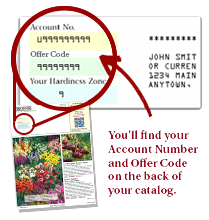 Enter the Offer Code found on the back of your catalog below.